Detox! 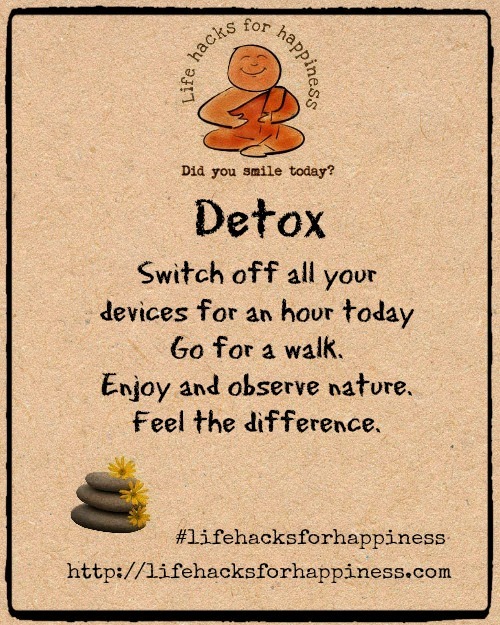 Switch off all your devices for an hour today and go for a walk. Enjoy and observe nature. Feel the difference! Dream a little! Since I started blogging I have had to become attached to devices. It was something I did not do before. I make it a point to leave my phone at home when I run with my dogs everyday! A wonderful detox. Found your blog on the A2Z challenge. I’m getting ready to do just that! Goodbye computer. Goodbye cell phone. I’m going to hunt some Easter Eggs with a bunch of munchkins I love.